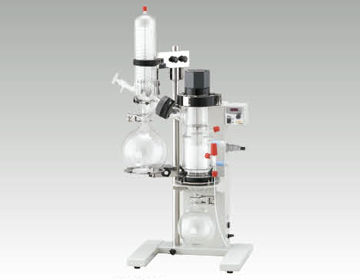 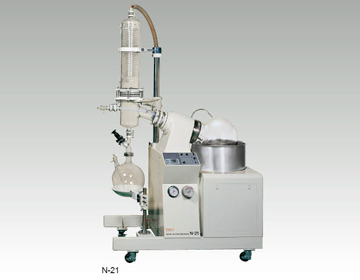 Centrifugal evaporator with Teflon coated chamber for combinatorial chemistry of TFA, DMS, DMSO. 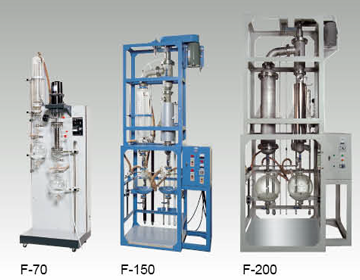 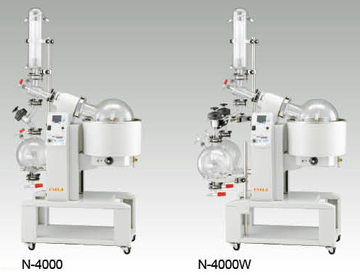 For effectively pre-treating large volume samples and many tubes. 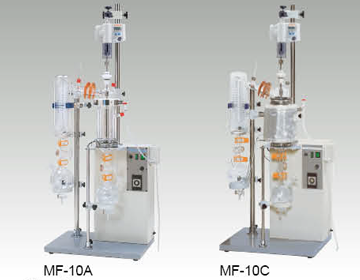 Auto jack type with diagonal double helix type condenser. 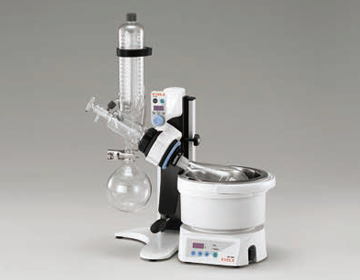 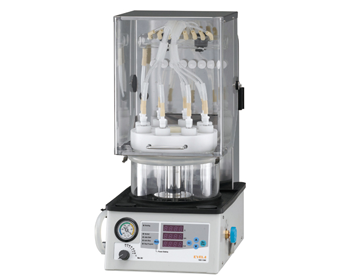 Desktop evaporator with 2 or 5 liter flask. 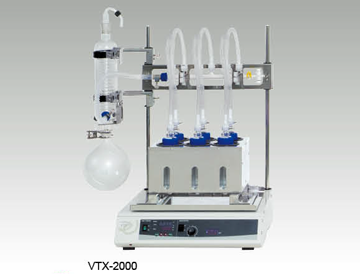 Large scale, 1 OL evaporator for use in laboratory as well as in manufacturing plant. 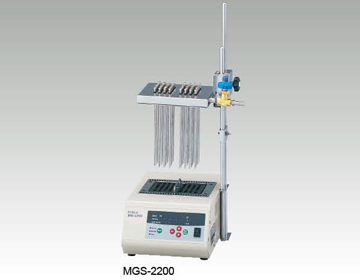 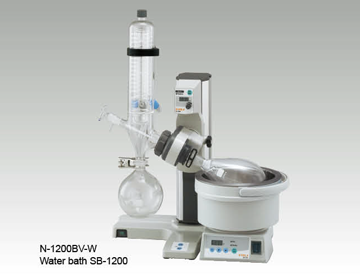 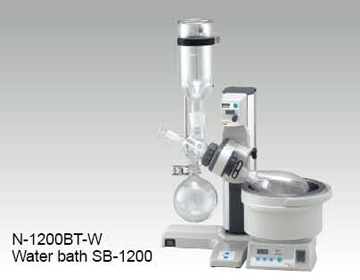 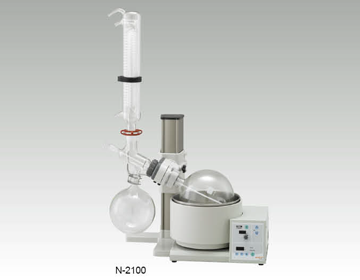 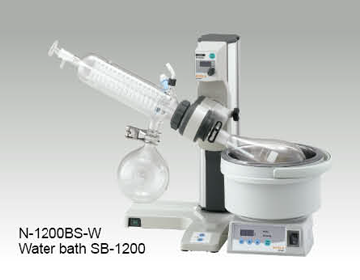 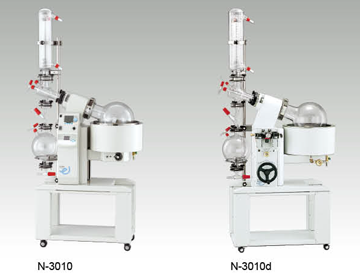 Although the N-3010 evaporator is a large scale unit, it fits for one-man operation. 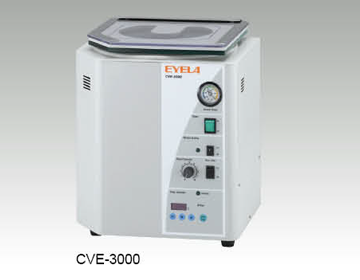 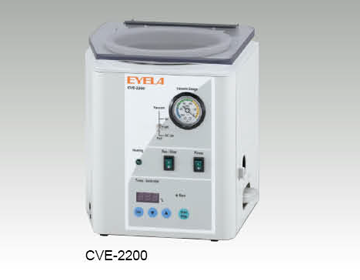 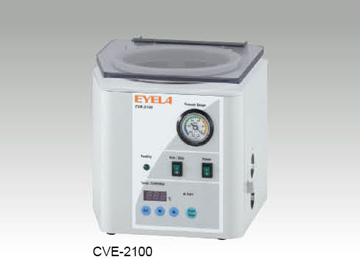 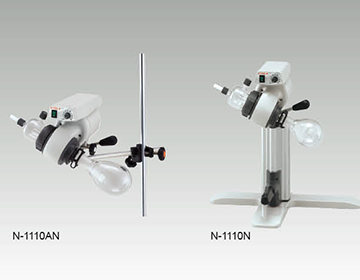 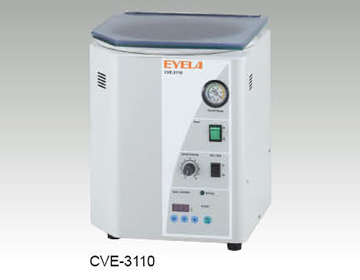 For concentrating thermal denature, foamy and highly viscous materials.